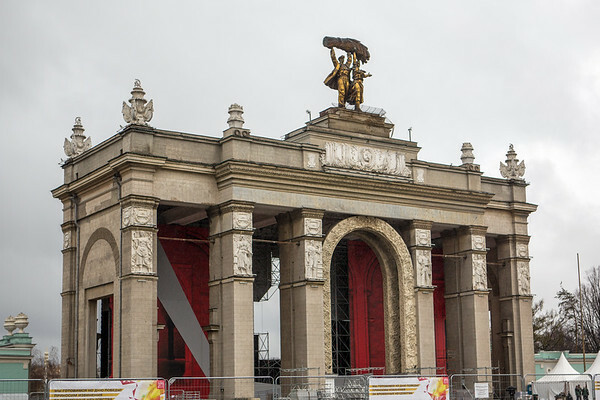 Entrance to the all-Russian exhibition center or VDNKh. Kind of hard to explain what this is - it has many pavilions for the different regions of the country and they have public, private and government types of events that go on. Some open to the public, and others not. In the winter the plaza becomes the largest ice skating rink in the world.